An animal rescue is desperate to raise money for a new property or face closure. Bexhill and Hastings Wildlife Rescue (BHWR), based in Chantry Avenue, has tried several times to find a suitable base to operate from but with no success. It is trying to raise £120,000 by May 31. 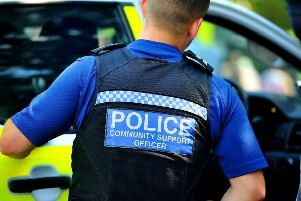 Volunteer Sarah Geller said: “We are just a few weeks away from losing a valuable service called upon by the police, fire service, the councils of Hastings and Bexhill and hundreds of businesses, as well as the local caring population. This appeal is absolutely the last chance to save the rescue after so many false dawns. “In the last year we have had three serious attempts to ‘rescue the rescue’. “In February 2016 we had an offer accepted on another property which we could just about afford. Our offer which was above the asking price was strictly on condition that the property should come off the market immediately and all further viewings cancelled. Then, in April, just before we were due to exchange contracts the house was suddenly put back on the market and sold to somebody else. We have no idea why this happened and it was a huge blow. Since then we have not been able to find another similar property to which rescue owner Chris Tucker could relocate and continue to run the rescue and house the permanent residents. “One of the rescue’s supporters told us about a smallholding near Battle which was for sale. We raised money, which, combined with Chris’s own savings and a private loan, was going to be used to buy the land before it went to auction. “We raised all the money needed before the auction date and then the council told us we would not be allowed to build anything at all, so that plan was dead in the water, only days after months of gruelling and stressful fundraising ended. “The only other remaining plan was the idea of converting part of the property into a flat so it could be sold to raise the necessary money to save the rescue. Plans were drawn up and planning permission applied for but this was refused.